One gallon pail covers 8×10 square foot of boat flooring. Our professional boat carpet glue is an advanced formula water based glue with exceptional durability combined with easy installation. If you are looking for a safe, easy to use water based boat carpet glue that will hold up to the demanding marine environmental look no further. 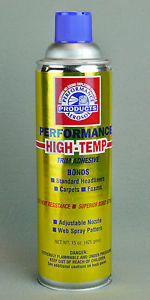 This is the boat carpet adhesive that our professional installers trust on fiberglass, aluminum and marine plywood. Protect your boat carpet investment and your time with our professional boat carpet glue. Our professional grade boat carpet glue lets you install your boat carpet on fiberglass and aluminum and be assured that your work will last without having to deal with flammable solvent based glues. It is made in America Our marine grade boat carpet glue adheres to bass boat carpet, fishing boat carpet, pontoon boat carpet, dock carpet, deck carpet and raft carpet for a secure, long-lasting bond. Clean-Guard patented antimicrobial technology protects against mildew and mold. Easy to spread, trowels on. Lightly abrade aluminum and fiberglass floors for adhesion. One gallon of boat carpet glue covers an 8’ by 10’ area. Keep the boat carpet glue from freezing as this may degrade its adhesion. Allow several days for the glue too cure in a warm, dry area. Use this boat carpet glue on floors and our Spray Contact Adhesive on lids for professional quality bass boat carpet results. For vertical surfaces or to wrap lids and hatches on your boat carpet project, add our spray contact adhesive. Click here to order your spray contact adhesive.